In the early days of aviation Phoenix had several airports, Sky Harbor was the fourth, opened in 1928, and the ultimate survivor for most commercial flights. The airport was acquired by the City of Phoenix in 1935. The original “modern” airline terminal opened in 1952 was demolished in 1991 so the airport’s passenger facilities now consist of terminals 2, 3 and 4. The three terminals are separate buildings but PHX Sky Train, an automated people mover, connects them outside of the TSA secure area and also takes passengers to the car rental center, economy parking facilities and to a Valley Metro Light Rail station. Terminal 2 has one concourse consisting of gates 1-15 plus gates C and D for commuter airline flights. Terminal 3 has two concourses consisting of gates 1-14 on the south concourse and gates 15-26 on the north concourse. Terminal 4 has 86 gates spread out over seven concourses. The A and B gates take up four concourses on the north side of the terminal and the C and D gates are on three concourses on the south side of the terminal. International flights use gates B23-B28. 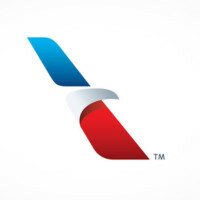 American Airlines flights arrive and depart at gates A1-A30 and B1-B22 in Terminal 4. Connecting passengers can reach other American Airlines gates without exiting the TSA secure area. Passengers can also reach all other airline gates in Terminal 4, including international departures, without leaving the secure area but passengers connecting to/from airlines in Terminals 2 or 3 must leave the secure area and be re-screened. Also, arriving international passengers, except those who have been pre-cleared by U.S. Customs at their departure airport, are required to exit the TSA secure area after going through Customs in Phoenix and be re-screened before going to their connecting gate.